The second day of Chair Janet Yellen’s address and the Asian markets liked what it heard. 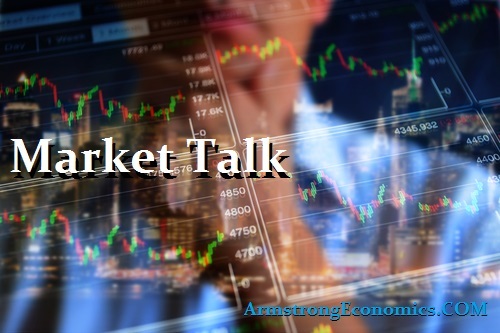 Although, Chair Yellen did remark that attaining a 3% growth target would be challenging the markets appeared to take it in its stride as they awaited US inflation data. All core Asia closed better with the Australian ASX (+0.5%), outperforming all after its poor the past couple of days. The Nikkei also moved higher and with the JPY strengthening, but that was later in the day following a weaker than expected US CPI release. Jpy was last seen trading mid 112’s towards the end of US trading hours. Shanghai and Hang Seng also closed positive with Hong Kong closing its best week in over a year up 4.1%. European indices closed lower today, but did suffer from low volumes with the CAC being closed. Overall we have ended the week stronger as central bank start the discussions of removing the punch bowl from what they see as a very successful party. The past weeks have been good for Europe with strong performances from both equities and currency. The obvious underperformer has been fixed-income with this being highlighted by the narrowing spread between Bund and Treasuries. Core Europe (CAC and DAX) closed the week up around 1% whilst the FTSE closed around flat. Core US banks (JPM, Citigroup, WF and Chase) lead the run today as we saw another encouraging move for stocks. The NASDAQ settled up +0.65% which takes this YTD number at close to 20%, with then broader S+P up +0.5% today. Bank stocks have jumped onto the fact that there may not be rate rises until 2018 but is watching the treasury curve steepen – which they beneficial. The DOW closes at yet another record. All is still to play for as we enter results period especially given the marginal disappointment from recent economic data releases. However, this is all extremely encouraging if/when Washington actually gets there act together and passes some structural and tax reforms. 2’s closed 1.36% (-1bp), 10’s 2.33% (-2bp), 30’s 2.92% (u/c), Bunds 0.59% (-1bp) closing the spread +175bp (u/c). France 0.85% (-3bp), Italy 2.28% (-3bp), Greece 5.23% (-2bp), Turkey 10.34% (-9bp), Portugal 3.09% (-4bp) and Gilts 1.31% (+1bp).